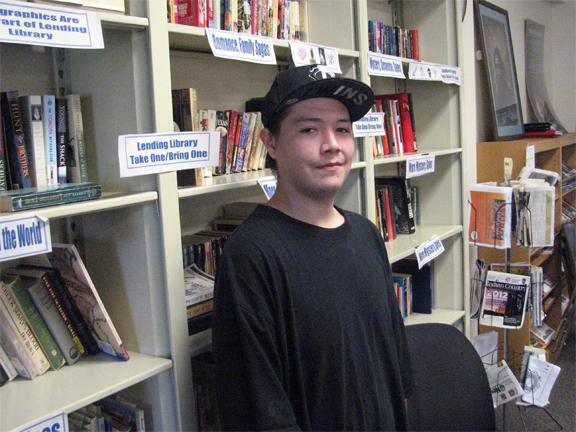 Franklin Library Events Sept. 2-30: Teen Center Book Club, 5-6 p.m. For teens in grade 6 and up. Mysteries, biographies, children’s books, novels, comic books… how many different kinds of books can you name? Activities will vary from reading books out loud, reviewing books, writing new ones and even binding our own! Sept. 11: Seniors Play Reading Group, 10:30 a.m.-12:30 p.m. A stimulating morning of reading and discussing some great plays. For additional information, call the library, 612-630-6800. Sept. 11: Nonfiction Book Discussions for Elder Learners, 1-3 p.m. Hosts a stimulating discussion of nonfiction books. For additional information, call the library, 612-630-6800. Sept. 25: Kids Book Club, 4-5 p.m. Join other kids to talk about a great book! Pick up a copy of the book at the children’s Information Desk.All events take place at Franklin Library, 1314 E. Franklin Ave., Minneapolis. For more info, call 612-630-6800. Cultural Relevant Indianpreneur ClassAmerican Indian Economic Development Fund provides classes that are uniquely cultural to help Native people successfully start their business. Classes start September 9, from 6-9 p.m. This ten week training meets every Wednesday evening at AIEDF, 831 Como Avenue, St. Paul, MN. For questions or to receive an application call Linda Sapp at 651-917-0819. Jim Denomie: Recent HistoryOpening Reception: Friday, September 11, from 6 to 9 pm. Jim Denomie is well known for his humor and irony, and in his new exhibition he reflects on his home state, Minnesota, commenting on our own political and social climate in his rich and painterly style. Denomie is 2008 Bush Artist Fellowship recipient and a 2009 Eiteljorg Fellowship recipient. Exhibition runs September 12 through October 10. Gallery Hours: Wednesday through Saturday, Noon to 5 pm. Bockley Gallery, 2123 W. 21st St. (west of Lake of the Isles, near Franklin) Minneapolis, MN. For more info, see: www.bockleygallery.com. MIACC Monthly Networking EventMonthly MAICC Native business networking session. Network and learn how to get certified by presenters: Sherri Komrosky with PTAC, Natasha Federova with WBDC-MN, Pat Calder with the Metropolitan Council and Stephanie Selb with the City of St. Paul. Free and opened to all interested business professionals, no RSVP needed. 4:30 pm to 6:30 pm. Black Bear Crossing on The Lake, 1360 North Lexington Parkway, St. Paul. Getting Through the Maze: Buying A Home Workshop AICDC and the newly formed Many Rivers Group are taking the mystery out of buying a home for the American Indian community living in the Twin Cities. As an educated buyer you are more likely to make good decisions, avoid pitfalls and purchase a home with confidence. Hear from a homeownership counselor to start your process of reviewing your finances, credit and mortgage loan programs that may be right for you and to help you create a plan to get you on the road to homeownership. Workshop Topics Include: steps to becoming a homeowner, how to prepare financially for homeownership, what you can afford to pay for a home, importance of credit and how it impacts homeownership,how to choose the right mortgage loan and get approved, ways to shop for a home, what to do when you are ready to make an offer on a home, importance of a home inspection and responsibilities of homeownership. This will be a FREE session. Light refreshments will be served. Register for this introductory session by contacting Jason Bresette at 612-813-1610, and look out for a series of sessions to be coming up. The first session will take place from 6:30 pm to 7:30 pm. at AICDC, 1404 East Franklin Ave., Minneapolis, MN. estion about the sacredness and importance of wild rice to the Ojibwe people. Opening reception starts at 6:00 p.m., video screening begins at 7:00 p.m. at Ancient Traders Gallery, 1113 E. Franklin Ave. Please enter near Maria’s Café. For more information call 612-870-6115. OgichidaakwegAll My Relations arts program at Ancient Traders Gallery presents: Ogichidaakweg, a touring retrospective exhibit of digital photography and written works by Native American youth artists living in Minnesota. The retrospect features more than 40 artists from the program and over 10 years of the very best work coming out of In Progress. Ogichidaakweg (Sisters In Leadership) was developed in 1998 to help young Ojibwe girls see their potential and act upon it. 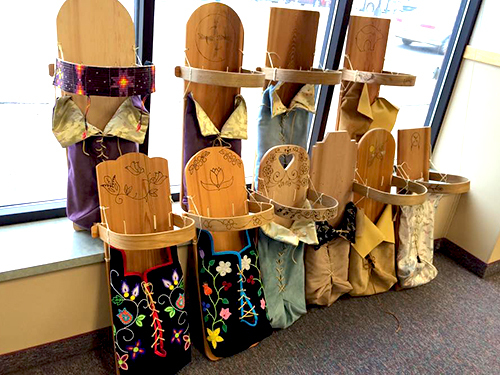 Since its inception, more than 130 young women from Leech Lake Nation have participated in weaving together lessons in history, culture, and political activism through the arts of digital media, dialogue, and writing. The two communities who have participated in Ogichidaakweg through In Progress are Leech Lake Nation and Bois Forte Nation. To learn more about current In Progress and Ogichidaakweg activities, see: http://ipogichidaakweg.blogspot.com Oct. 29 Ogichidaakweg closing talk with artists and In-Progress staff at 6 p.m. All My Relations arts program at Ancient Traders Gallery is a cultural collaboration of Great Neighborhoods! Development Corporation. At Ancient Traders Gallery, 1113 E. Franklin Ave., Mpls.mn. Hours: 11 am -4 pm. Fridays & Saturdays with group tours weekdays by appointment. FREE! Call 612-870-6115 for more information and to request group tours. Classes welcome! MN Twins American Indian Heritage NightThe 9th Annual American Indian Heritage Night w/MN Twins. American Indian businesses are invited to participate. Your businesses will be exposed to thousands of people before and during the game. This opportunity is available with a minimum purchase of 10 tickets ($15ea.) for the game. The afternoon will feature a special pre-game show with American Indian dancing and drum group. Starting at 3:00 pm. For info call David Marley at 612-375-7447. 6th Annual Wild Rice Festival The Friends of Roseville’s Harriet Alexander Nature Center’s 6th Annual Wild Rice Festival. The event begins with a fundraising pancake breakfast from 8-11 am. featuring delicious wild rice sausages, wild rice pancakes and pure maple syrup. $6 for adults, $4 for kids six and under. Lunch starts around 11 am and includes Native American fry bread, wild rice sausages and more. Free entertainment, demonstrations, exhibits and activities will begin at 9 am and continue until 4 pm. Native Pride will be performing. The Ojibwe Language and Cultural Immersion Center will provide wild rice harvest demonstrations, and traditional crafters will demonstrate their work. There is also a silent auction to raise funds to support the nature center and its mission of environmental education and outdoor recreation. More information about the Wild Rice Festival can be found at www.forhanc.org by calling the Harriet Alexander Nature Center at 651-765-4262. This admission-free, family-friendly celebration of wild rice, Native American culture and Minnesota’s fall season will be held on the grounds of the nature center at 2520 Dale Street N, Roseville, Minnesota. We Remember Them: Wikuncisiyapi FundraiserAll are invited to a fundraiser for the “We Remember Them: Wikuncisiyapi,” project, a collaboration between composer Brent Michael Davids, conductor Ken Freed, and the Mankato Symphony Orchestra. The project remembers the 38 Dakota men hanged in Mankato in 1862. Come and meet the composer and conductor, and learn more about the project. The event will take place from 6-9 pm.at Ancient Traders Gallery, 1113 E. Franklin Ave, Minneapolis. American Indian Awareness DayActivities from 11 am – 2pm and 6 – 8 pm, starting with the American Indian Day proclamation, community pot luck lunch, and float parade. Parade starts at 11 am and begins at the American Indian Magnet School at 1075 E. 3rd St. Pot luck lunch will be held at the Indian Mounds Park Pavilion (Mounds Blvd. and Earl St.) The Indian Education powwow will be held at the American Indian Magnet School from 6 pm to 8 pm. Anishinaabeg GatheringMooningwanekaaning Minis Anishinaabeg Maawanjiiding – Madeline Island. Come to honor and renew the Anishinaabeg relationship to the Island in the past, present and visioning for the future. Speakers: Winona LaDuke, Tobasonakwut Kinew, Dr. Rick St. Germaine, Henry Buffalo, Jr, Robert Van Zile and Joe Rose, Sr. For more info, call 715-747-2415. Native American Day CelebrationHealth & Resource Fair, Exhibition Dancing, Cultural Activities, Children’s Activities, Music, Food and much more. 11 am – 2 pm. Midtown Farmers Market, Lake Street & 22nd Avenue, Minneapolis. For more info, call 612-721-9839 of 612-721-9816. MIWRC PowwowMinnesota Indian Women’s Resource Center’s 25th Anniversary Powwow Celebration. Grand Entry at 1:00 pm. Little Miss MIWRC/LIttle Brave Contest. MC: Justin Huenemann. Arena Director: Shawnee Hunt. Vendor space available, call 612-728-2000. Invited Drums Only: Little Earth, Little Wolf Bear Heart, and Oyate Teca drum groups. Meal served at 6:00 pm. At the Minneapolis American Indian Center, 1530 E. Franklin Avenue, Minneapolis. 2nd Annual Heartbeat of Recovery Black Bear Walk-RunWalk/Run for Recovery, 5k & 1.5 Mile & Kids Half Mile. Food, Music, Family Fun, Speakers, Open Microphone. Join the Voices of Recovery: Together We Learn, Together We Heal. 20th Annual National Alcohol and Drug Addiction Recovery Month Event. 2:30 pm – 6:30 pm. Black Bear Crossings on the Lake, Como Lakeside Pavilion, 1360 N. Lexington Parkway, Saint Paul, MN. “We Are One” ConferenceWe invite Dakota people to come together to learn the old ways that were lost as a result of assimilation policies and our forced removal from Minnesota after the 1862 Dakota War. Traditional teachings will be offered by our Dakota relatives from Fort Peck. Conference includes a panel on Truth-Telling in the 21st Century Fort Snelling History Center. Speakers Include: Caleb Shields, Dakota History & Spirituality; Leland Spotted Bird, Dakota Spirituality & Culture; Del First, Dakota Language & Oral History; Darlene Johnson & Helmina Makes Him First, Dakota/Nakota Traditional Food. Fort Snelling History Center, at the junction of Minnesota Highways 5 and 55, one mile east of the Twin Cities International Airport. For additional directions, call 612-726-1171. For more info, call Alameda Rocha 651-291-8775, Naida Medicine Crow at 612-259-7712 or Diane Wilson at 651-442-2168. Celebrating 40 Years of African American Studies and American Indian StudiesIn 1969 the University of Minnesota established the African American and American Indian Studies Departments, the second and first such departments respectively to be founded in the United States. To celebrate the anniversary of this historic event, the University Libraries, with the African American Studies Department and the American Indian Studies Department, have put together a display of archival materials commemorating 40 years of history. The opening reception is scheduled for Tuesday, October 27, 2009 from 4:00 – 6:00 p.m. in the Elmer L. Andersen Library. The program will be held in the Givens Conference Suites, room 120, with refreshments served in the Atrium. The program will feature two speakers: Carolyn (Carrie) Schommer, Dakota – Dakota Instructor at the University of Minnesota for 23 years. Carrie is from the Pejuhutazizi Oyate (Upper Sioux Community) in Granite Falls, MN. The language program in American Indian Studies is the oldest in the United States, they teach Dakota and Ojibway. The University of Minnesota was the first university to allow Dakota and Ojibway to fulfill language requirements. And Dr. John S. Wright – Wright is a Morse-Amoco Distinguished Teaching Professor of Afro-American & African Studies and English at the University of Minnesota. Wright received degrees in three different fields from the University of Minnesota: his Ph.D. (1977, American Studies), M.A., (1971, English and American Literature), and B.E.E. (1968, Electrical engineering). For more info, contact Jody Gray at 612-624-9913 or email: grayjl@umn.edu . Family Education Diabetes SeriesThe Department of Indian Work will have their Family Education Diabetes Series on Oct. 13 and Oct. 27. Free diabetes screening, a meal and lecture. 5:30- 7:30 pm. DIW, 1671 Summit Ave, St. Paul, MN. Call Mitzi Beliveau at 651-789-3862 for more information.